The internet has changed the way the world finds real estate. Statistics are showing 90% of home buyers start their real estate search online. 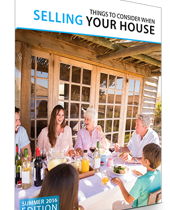 As a tech savvy Realtor, I’ve been aware of this ever increasing number of online buyers and now tailor my entire marketing approach to attract those online buyers to Your Home! Color photos – LOTS of them! VFlyers – Syndication of your listing to all the real estate portals that matter. All properties are submitted to multiple online property sites – I’d list them, but then my competition is watching! Expanded Listing on Realtor.com featuring additional photos and links to the virtual tour. My website and The Berkshire Group Realtor’s family of websites have a consistently high presence in the search engines. 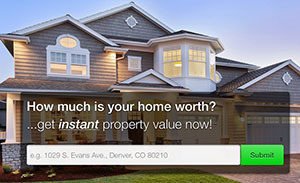 For grins, go to Google and search the term “denver real estate”. I’m generally near the top of the page. How do high rankings benefit you? Being visible on the internet via search engines, directories and websites only increases the exposure for your home. It is very possible you buyer is surfing the net in some foreign land or local address, he will find it through the many resources I have enabled over the past decade. This is the type of marketing only big dollars or a seasoned, well constructed website can buy. Let’s talk, I will be happy to share my results oriented marketing plan with you and how I well get your home sold in Today’s Market. I welcome your call. For an appointment to discuss your home’s value, please fill out the form below.